We all grew up watching Western films with incredible three-storey homes that have spacious living rooms with a front porch and a rear backyard with a treehouse (think Home Alone). Unfortunately, that’s not the case in Singapore. Whether you are getting your dream HDB BTO nest or upgrading to a new condominium, most houses on our little red dot are between 900 to 1,300 square feet. Things can get even tighter for “shoe box” homes. 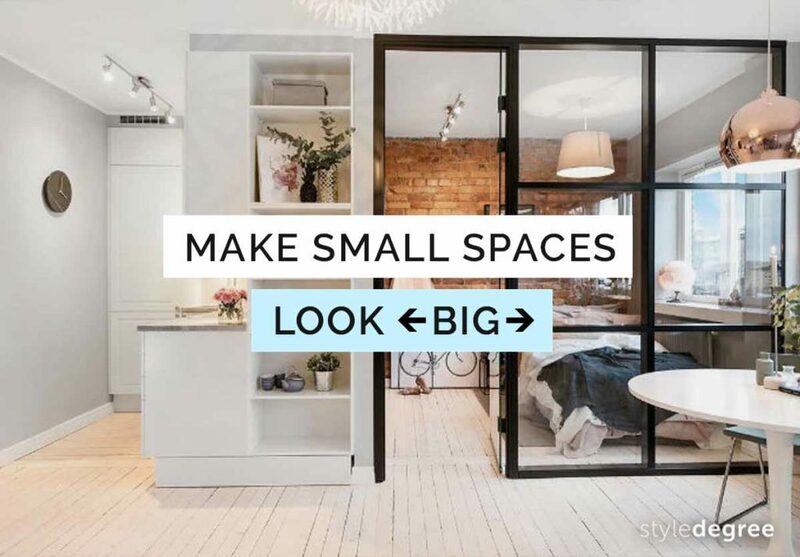 As such, it is important to learn how to maximise your small home space and make them look bigger than it is. Read on to find out 7 magical ways you can do just that! Light paint colours such as white and beige are great for walls and ceilings as they reflect light, making the space brighter. For flooring, do consider using light wood, marble or light granite that reflect light too. When the room is bright, it will look more airy and spacious. 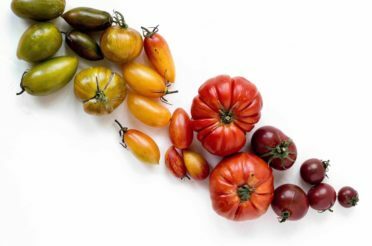 Next, create contrast with a deep, eye-catching colour. This contrasting colour could come from any furniture, tabletop or ornament. Taking the kitchen above as an example, while it might be a small space to do your cooking, you wouldn’t feel claustrophobic at all. 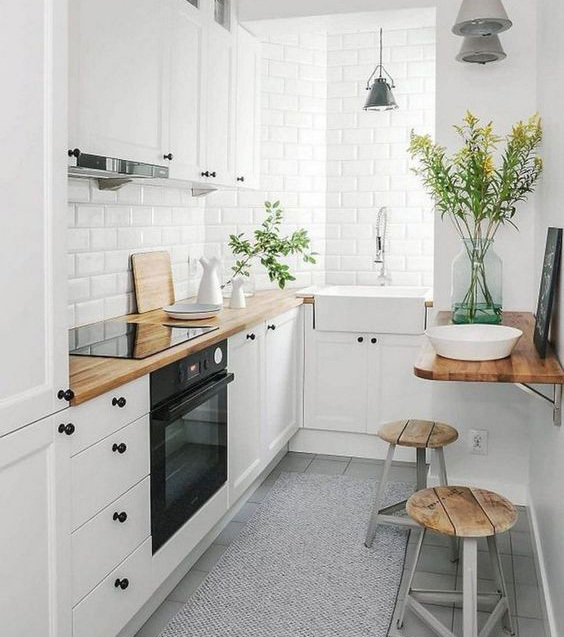 The interior designer has cleverly utilised white tiled walls coupled with white cabinets to create a bright, airy look. 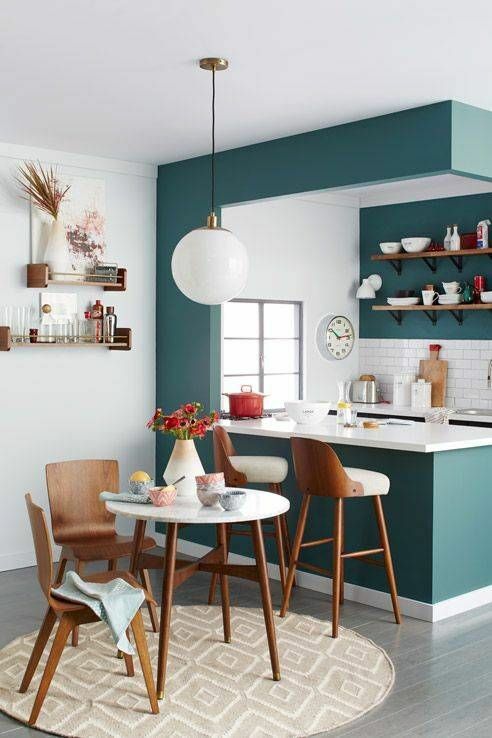 Additionally, the rose wood kitchen top, chairs and green plants add contrasting colours to create depth. High ceilings tend to make your space look roomier and airy. While the ceilings of HDB flats might be shorter, there are 3 hacks you can utilise to make your home look bigger. Use full-height doors. By having openings that extend from the ceiling to the floor, it make your space look taller than it actually is. Use floor-to-ceiling curtains. If possible, hang striped curtains that run parallel to the wall. 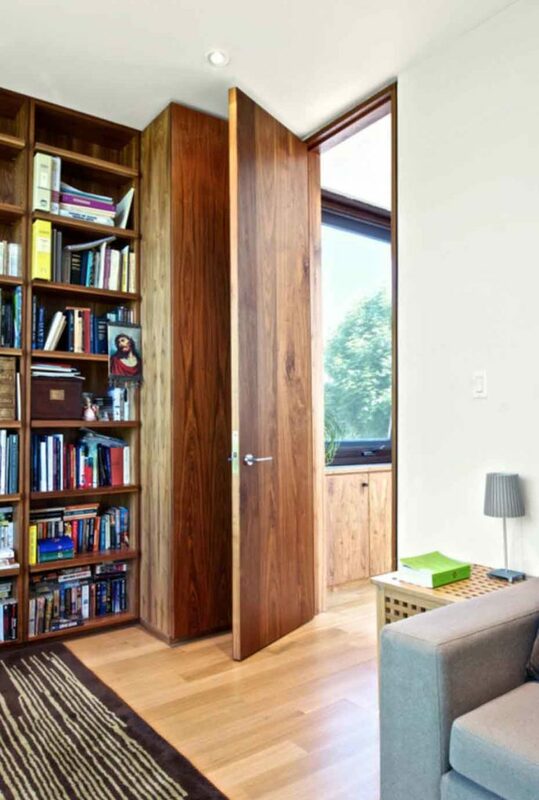 Use full-height bookshelves. Similarly, full-height shelves create an optical illusion of a taller ceiling height. Best of all, they maximise storage as they utilise the full height as well. Open concept home design are in full rage right now with good reasons! As seen above, the walls between the living room and the kitchen has been partially knocked down, allowing one to see right into the kitchen. So what are the benefits of such open design? By being able to see right into the kitchen, it makes your home appear larger. The partially knocked down wall is being converted into a “island” bar tabletop which provides more storage and seating. Allows better viewing and communication between those who are in the kitchen and living or dining areas. Of course, there are downsides to such open designs too. Firstly, not all home layouts are suited for open concept kitchen. Besides, there are additional costs when it comes to knocking down walls and designing a island tabletop. You will also have to consider installing a hood to prevent fumes and grease from entering the living room while cooking. That being said, if you planning to stay in your home in the long term, an open-concept kitchen is definitely a good consideration for the benefits it offers. If you are a couple planning to start a family with 2 kids, do you really need a 6-seat sofa lounge with a leg rest? The answer is probably no. While it is tempting to go for that bulky and comfy lounge, it may turn out to be a waste of space. Be sure to choose the furniture that best suits your needs! Once you have have chosen a suitable sofa, another tip is to place a striped carpet in the living room to “elongate” the space. 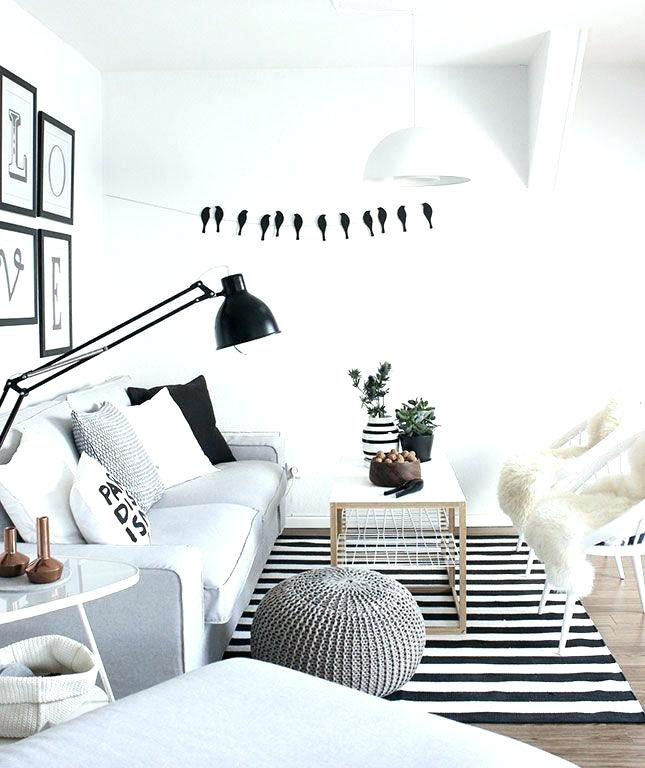 As seen from the image above, a striped carpet truly helps to make a room appear longer and hence more spacious! Another piece of accessory that helps to make your space larger are mirrors! By reflecting light, they create an illusion of a much larger space. 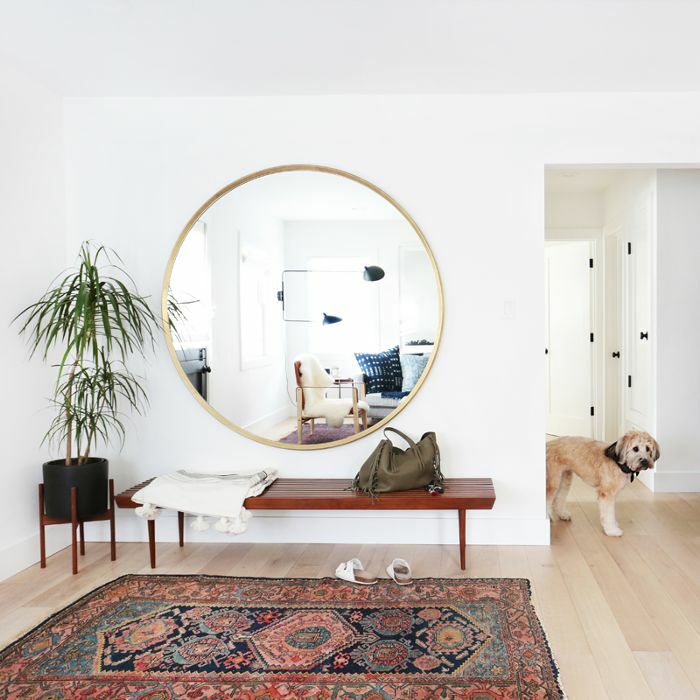 The best areas to place mirrors are in the living room, entryways or at the end of walkways. The trick to furniture placement is by determining a focal point. A focal point in interior design refers to the first thing that attracts your attention when you enter the room. Take for example your living room. 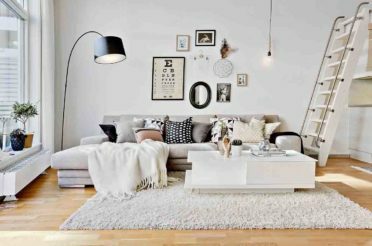 By arranging your furniture around a focal point (e.g the coffee table) you can create a space that feels cosy and inviting. Don’t be afraid to experiment your focal point till you find one that speaks to your heart! Next, consider traffic flow when placing your furniture. Ask yourself: Does the walk from the living room to the bedroom requires you to take too many twist and turns? Do you need to hop over a bean bag on the way to the bathroom? If you say yes to any of the above, it’s time to re-position your furniture. Finally, make sure that you have sufficient space for your walking areas. As a rule of thumb, be sure to leave between 50 to 100cm for the width of the walkway. With a smaller space, one will have to get creative with the types of home essentials, homeware and accessories! 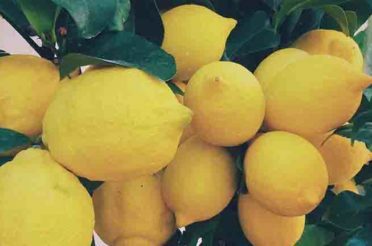 By using home essentials that are foldable or extendable, it provides greater flexibility when storing. 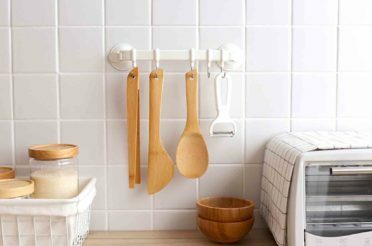 Transform your walls into a storage space with the help of wall hangers. 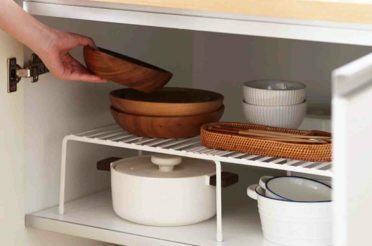 Not only are they functional, they help to organize your home and save space – a win all around! 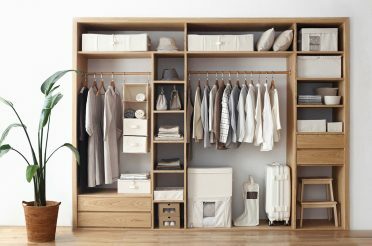 In terms of furniture, consider those piece which are foldable or easily stored away when they are not needed. Such extendable dining tables are available at major furniture brands and are perfect for occasions when there are guests at your house. 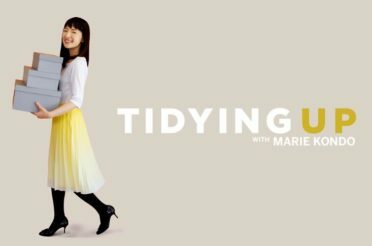 When you think of decluttering now, Marie Kondo’s KonMari method probably comes to your mind now. By making the effort to remove unwanted items that do not spark joy in you, you are actually creating new spaces! Utilise storage bags and boxes to help you stow away your seasonal/ less frequently used items such as your bedsheets, winter clothes. For items that you use daily, remember to have a home for everything to keep things organized. 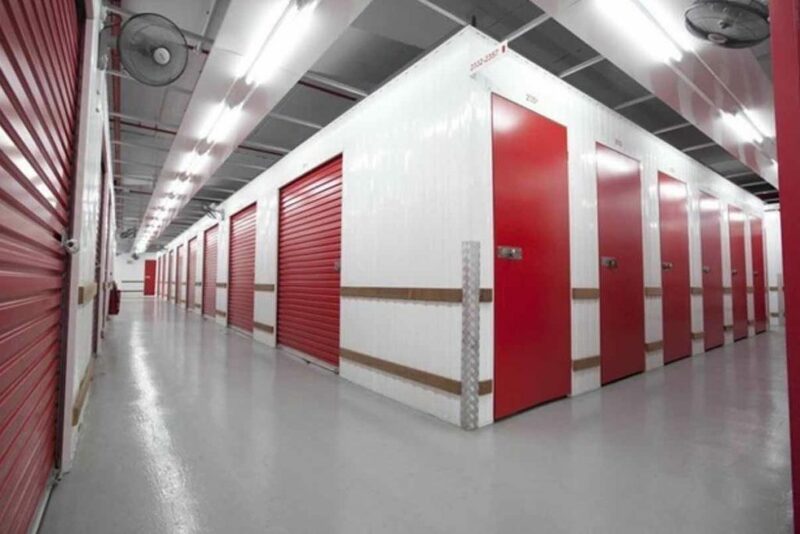 Should you really need extra space for your home, a good idea is to rent self-storage spaces. 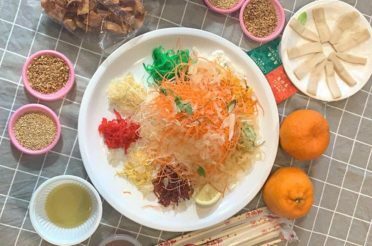 There are many companies offering such services throughout Singapore such as Extra Space, Storhub and more. The great thing about such facilities is that they are usually accessible 24/7 and have no minimum required stay! 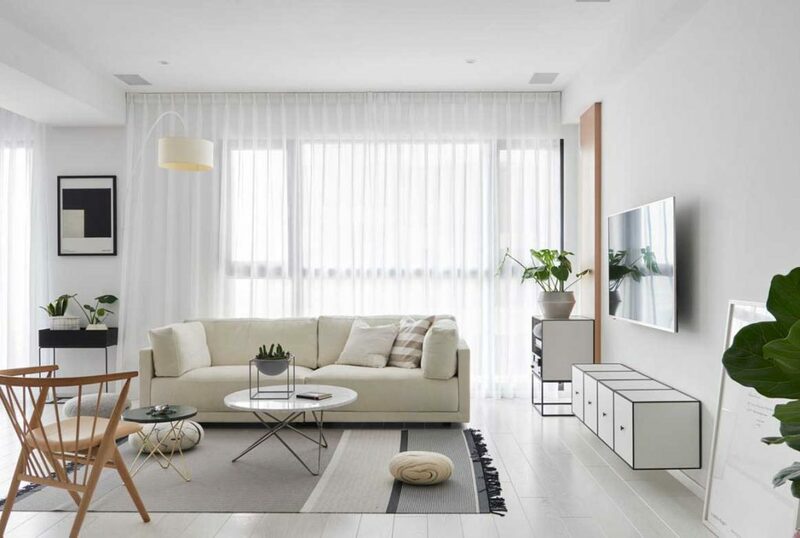 Although your HDB BTO or condo apartment may not be like the spacious western house you see on Netflix, armed with these 7 techniques, we are sure you are able to make your dream home look bigger! Most importantly, it is not how big your house is, but rather the memories you have in your home.